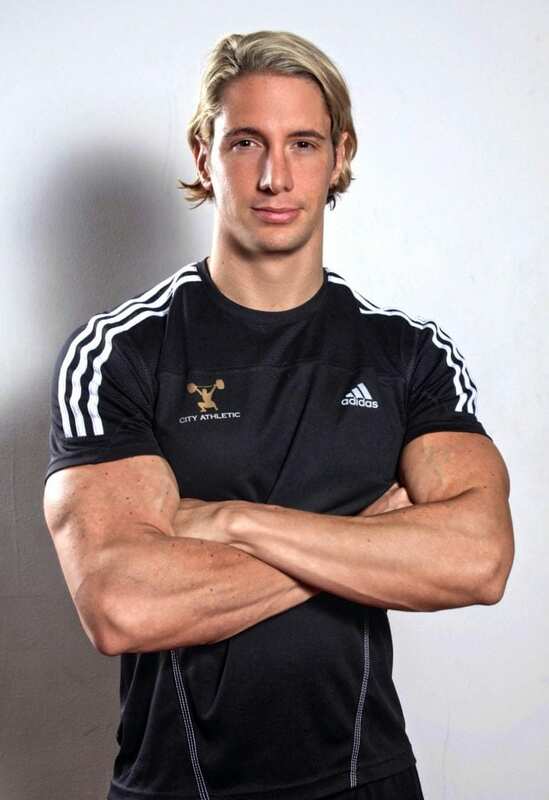 Shaun is a highly experienced personal trainer, multi-award-winning fitness athlete at the international level, published author and director of City Athletic London. 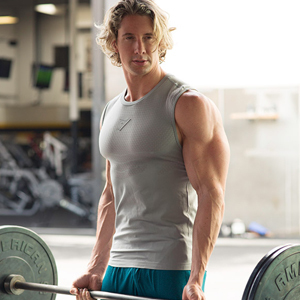 His body composition expertise has not only helped him shape his own physique, but he’s delivered amassed thousands of hours of training helping private clients and elite athletes alike. Can you tell us about how and why you became a personal trainer? What were your motivations and ambitions at the outset of your career? They put me on a fitness instructor course and gave me some shifts which fit in with my training. Within two months they turned to me and said, ‘You’ve got what it takes to be a personal trainer, why don’t we upskill you and get you qualified. You’ll earn more money, get more time to train yourself and when you go back to university you’ll always have a job in the summer’. So that’s how it started and it was one of those things where the more I got to use the gym and work there, the more I loved it and the less I actually wanted to play rugby. When I finished university, I didn’t have much debt because I’d essentially been paying my way through it by being a PT. When it came time to get a job, I thought I’ve already got a job I love so why not just keep doing that. 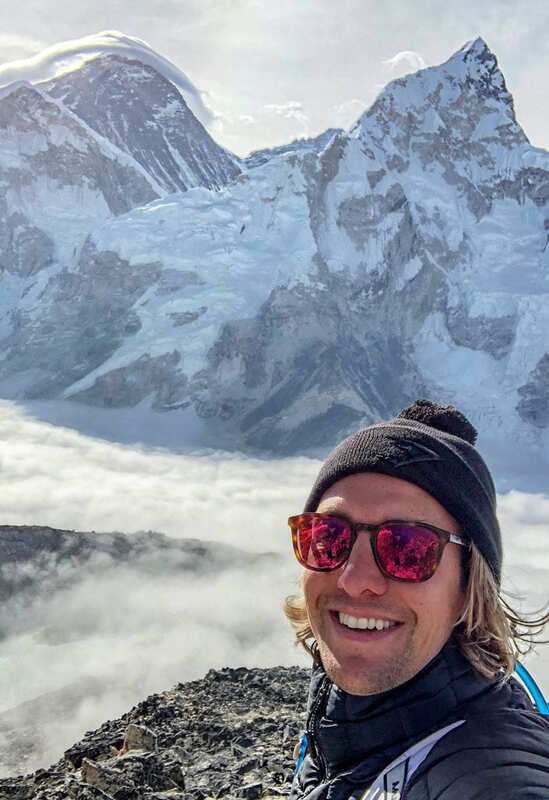 Something you mentioned in your Everest video was about being a “change for good”, is that why you currently do what you do now? Is that your ‘why’? I think there’s definitely an element of that and there’s obviously some selfishness involved as well, so it’s not completely altruistic. Don’t get me wrong, I love what I do and I think it’s a lot of fun. I get to stay in shape, I get to talk to a wide range of people and interact with people from all walks of life so that’s exciting. But I think what underpins it is providing useful information and useful guidance to people that actually need it. Whether they’re paying for your time when you’re a one-on-one coach or they’re logging on to social media to try and get some of the information you put out there for free. What you’re doing is putting yourself out there and trying to share what you know about a subject in order to help other people. How do trainers balance the need or want to “be a change for good” with the selfishness you mentioned? For some people it can be tricky, personal training is one of the jobs that allows you to take it any way you want. I think the more focused you are on yourself, the less successful you’ll be as a personal trainer. I think the people that look after themselves who are a walking business card for their own business are fine, but the more you focus on your clients, the more successful you’ll be in terms of establishing a personal training career. There’s a difference between having a personal training job and having a personal training career. It takes somebody that can grow a business over time and sustain and retain clients, build up that loyalty, get great results and build a community that will follow you. The people that have that focus on helping others as the forefront of what they do will succeed the most. City Athletic is your performance facility and I think it’s fair to say it’s a little more than a gym. It’s no secret that you have attracted some fairly high-profile clients to the facility. Do you go after these clients or are they attracted to your facility for another reason? A lot of the higher profile clients that I have trained come because of me, but most of the people you see on the website actually come for the gym. We have some pretty special facilities here and probably the most notable one is the altitude centre. Six years ago, when we opened it certainly was unique, now they’re becoming slightly more common. It’s one of those things where several gyms in London now have them, but the difference is we were one of the first to make it mainstream and publicly accessible. A lot of the high-profile guys, Anthony Joshua, Fulham Football Cub, Middlesex Cricket Club, all those guys really bought us a level of kudos. They came because of our ethos and what we represent which is performance for all. We give every member of the public the opportunity to train like an athlete and when professional athletes come in and endorse our facilities, it really reinforces what we do. It’s that blend of top-level equipment, top-level niche facilities, like the altitude chamber, but also the top-level coaching that we have. It really is a community and we work together to try and get everybody, not just the elite athletes, to where they want to be in the best possible way. I can’t take anything away from the personal trainers who we are lucky to have at City Athletic. They are all great trainers in their own right, they have solid online profiles, they write for magazines and they work hard to bring clients in. At the end of the day it’s not just me who’s brought in high profile clients, the other coaches have more than done that as well. You’re a gym owner, personal trainer, model, marathon runner, author, and you deliver online programmes, how do you keep all those plates spinning? With difficulty, I’ll be honest. It’s about dealing with changes in priority and you can look at it like a league table. Sometimes things that are mid-table need to be promoted to the top of the table and things are top of the table need to be demoted to mid-table. It’s a case of having a support network around you when those things need to slotted around. It’s important to have other people around to pick up the slack. For example, I’m travelling with Optimum Nutrition to India soon for a trade show, I have a business partner at City Athletic and 30 staff members who know the job they have to do and my clients will all get looked after while I’m away. It’s not an easy thing by any means. Also, with my family when I go away, I sometimes have to put work first but my wife is very supportive and it’s a real give and take relationship. My wife has just had a boxing match last weekend and when her training had to step up it was a case of me coming home early and looking after our son, making sure he’s happy and when he was in bed I would get to do some work. It’s a team effort. Priorities change and it’s about where you divert your energy at that moment in time. It’s important to have a good work ethic. I’ve worked pretty much nonstop for 15 years now to try and get as many plates spinning at the same time. You keep it going but need to know when you have to work but also when you can take your foot off the gas and relax a little bit. How important is the team you’ve got working with you? When you do step away for trade shows and other business opportunities, do you feel confident your team will keep the wheels turning? 100% confident. With City Athletic, the reason we didn’t call it Shaun Stafford’s Gym is because it is a separate, autonomous business from the other things I do. Yes, I’m one of the owners and directors, but we’re going to be opening another club in Q1 of next year and my time will then be split between two clubs. Does that mean that the original City Athletic will suddenly stop working because I’m not here? Absolutely not. We have an incredible management team and a very strong team of staff that will keep things running. A lot of business is generated for personal trainers nowadays on social media. You have a phenomenal social media following, especially on Facebook where your audience is more than a million. Can you provide any advice or tips for PTs looking to grow their business on social media? I think with social media people can think it is the answer to all their problems when in fact it can often be the cause of a lot of problems. Anxiety around personal training comes from people trying to crack social media and this can detract from them delivering quality personal training. People will often see online coaching as an easy way to get them earning six figures, chilling on a beach and writing programmes for people. Some of the unhappiest transitions I’ve seen is when people come into work at nine, do six or seven hours of sessions with people, go home at five, switch off and then try and have a life outside of their job. They then switched over to try and be online trainers and it’s a 24/7 job and they just weren’t ready for it. The people you’re coaching online are often a lot needier than people you’re seeing one-to-one. The relationships you develop with people one-to-one are very different to the relationships you develop with people online. A lot of people, who are looking to build their business through social media, might end up actually detracting from what they’re good at: most people get into training because they want to help people and they have those personal skills to interact with people and push them to achieve goals. When you stick a laptop screen in-between that process it can often take away from the skill set that good PTs have. Don’t get me wrong, social media can be a really useful tool, if you’re looking to spread a message and put content out for free and really grow a community around you, it’s really useful. It’s also incredibly hard work and people underestimate how time-consuming and how frustrating trying to stay one step ahead of the game can be. 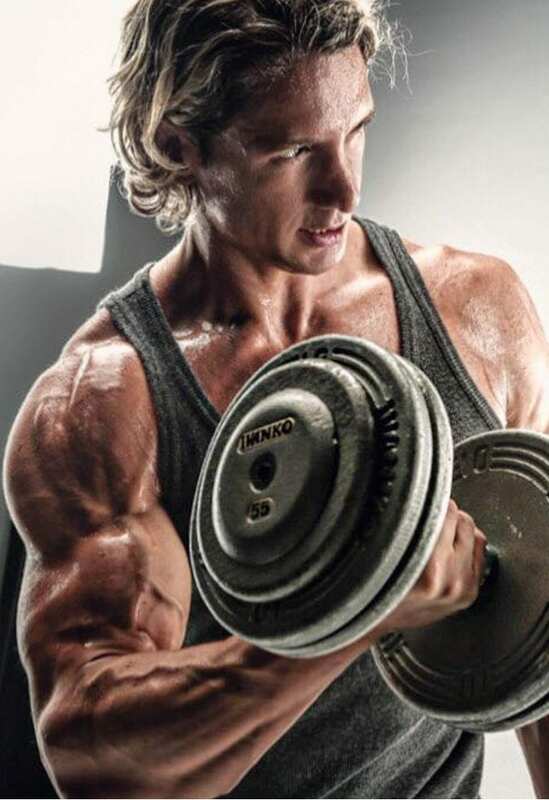 My biggest bit of advice to personal trainers is to really focus in on what you’re good at. If you’re really good at personal relationships and you can deliver 30 or 40 sessions a week and leave people better off then, that’s giving you the money you want and the lifestyle you want then focus on that. Don’t get caught up with feeling like you need to build a massive online presence. What’s next for you? What ambitions do you still have left to achieve? As I mentioned, from a business point of view we’re looking to open our second City Athletic site in SW1, moving slightly west from where we currently are now. That will allow us to tap into a whole other market. Hopefully by March next year that will be open for business. From the point of view of my own training and what I want to get out of next year, I’ve signed up to do L’Etape du Tour which a mountain stage of the Tour du France. It’s the hardest amateur cycle race on the planet and I’ve been lucky enough to offered a place in that if I want it, I think that will be my Everest for this year. That will be the thing that’s going to get me out of my comfort zone and allow me to challenge myself in a different way and that’s what The Everest Marathon did for me this year. Towards the end of next year is where I’ll be focusing on my physique stuff and after that really spending some time focusing on friends and family. If people are looking at you or reading this and seeing you as inspiration, for your marathon, your physique competitions, cycling, whatever it is, and they have a goal in mind that might even seem impossible, what’s the one piece of advice you can give to that person that will help them take their first steps? It’s a cliché but every marathon starts with a single step and the only thing you need to do is take it. That is a mantra for life. Things can become overwhelming but if you want something bad enough, all you need to do is make a plan, break it down into small achievable goals and turn it into a day-by-day process. If you can be half an inch closer tomorrow to where you need to be, whether it’s a physique goal, a business goal or fitness transition, if you just take those slow continuous steps forward and don’t let the enormity of the situation overwhelm you. Small steps are easy to take, giant leaps are less so: do that and you’ll have no problem!